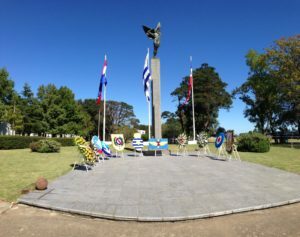 The Head of the Airforce together with the Heads of the Army and Navy and the Joint Staff Chief pledge allegiance to Uruguay, the Constitution and the People holding the flag. 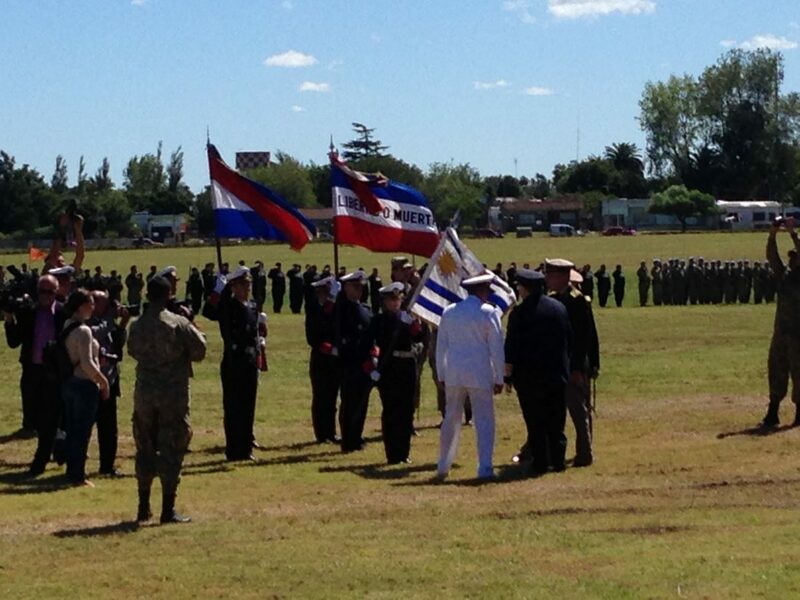 It was an honour for ST Airborne Systems to be present at 105 year jubilee of the Uruguayan Air Force (FAU). The celebrations included a pledge of allegiance (see top image), speeches, parades and fly-overs during an impressive and well-organised event. We also received a renewed order for yearly maintenance, training for technicians and continued CONOPS training which again will be led by a former Swedish Coast Guard Officer. We are very happy to be able to continue our work together with the FAU so as to make the very best use of their maritime surveillance system from ST Airborne Systems installed on a CASA-212.